Hot pics, love the stance on your max bro. Looks nice. Definitely looks slammed. Love love love those wheels. In Carbon Fiber we trust. Amen. 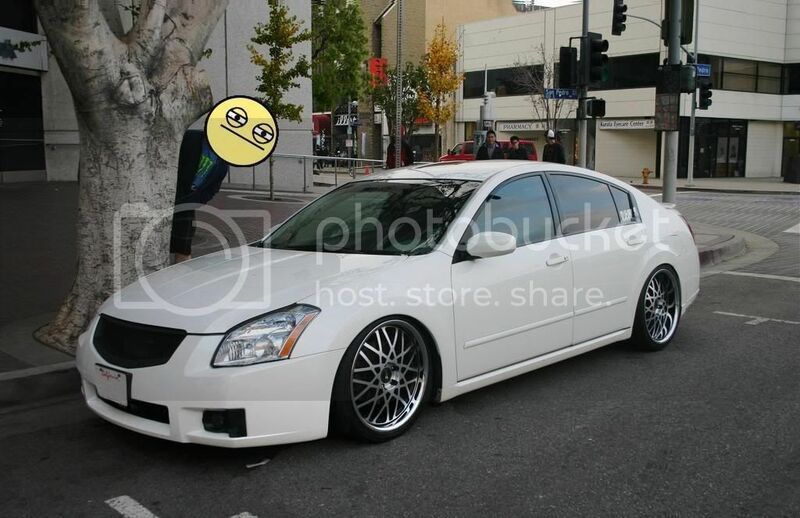 Nice pictures and car looks really nice slammed liked that. whats the specs on the wheels? BTW thats how low i was thinking of going. How are the fenders holding up? I feel like if I go that low I have to get rid of the fenders. They seem to break off so easily. are you a part of canibeat also? fenders...??? I don't have any problems with my fenders. if anything, I had to roll them a little bit. am I apart of Canibeat? do you mean their forum? no, I'm not. oh and your car... your car is fyaaa. yo... what happen to your car?!?! did you sell it? is it still in CA? Definetley proper. Which wheels are those? lol. i was gonna go but it got too cold for the baby!! 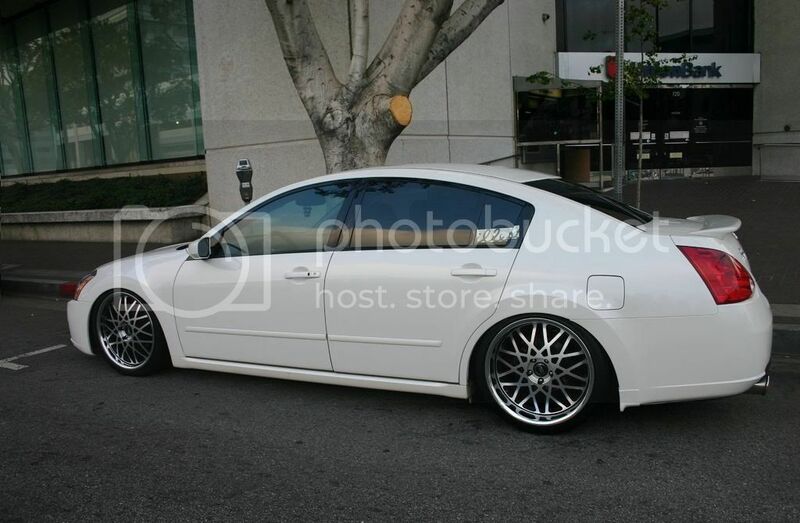 damiitttt... about to VIP and stagger/flush real soon.. ill be riding with Low N SLow! ohh yeaaa!!! car is looking good man. What are you dropped on? Looks awesome!!! Send me those pics. Need a new banner for kicking off 2012. I agree this would be great for the banner. That tree is fake I'm right ? And who is the guy in the red hat? Last edited by PhantomMax; 12-16-2011 at 01:37 PM. not gonna lie, it was FRICKEN COLD that morning, but it was still a good turn out! next for my car is a tuck and poke! wanna get it ready for the big meet in Burbank next month. Car look sick. I took a pics of my car with the hollywood sign in the same spot. Great view.